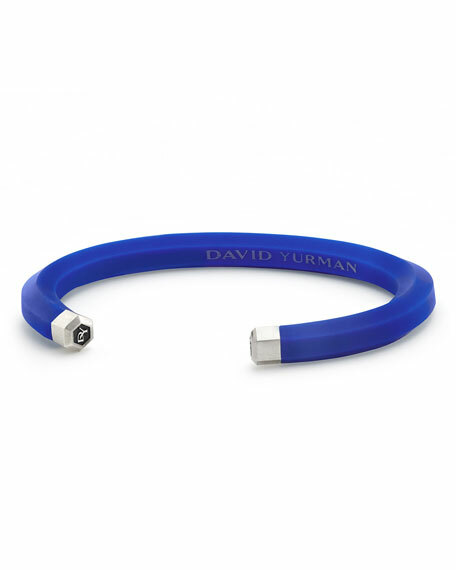 David Yurman men's kick cuff bracelet from the Hex Collection. Hexagonal sterling silver end caps. David Yurman bracelet in box chain pattern. Acrylic-coated stainless steel. Silver push clasp. Made in Germany.